Apprenticeships have been around for centuries. Leonardo de Vinci started out as an apprentice artist. So did Vincent Van Gough. Elvis Presley was training as an apprentice electrician before his other talent was discovered. And there’s founding father Ben Franklin, perhaps the most famous apprentice in American history, who at the age of 12 became an apprentice printer to his brother. Kimberly Nichols wants to bring back apprenticeships to the United States in a big – and modern – way. 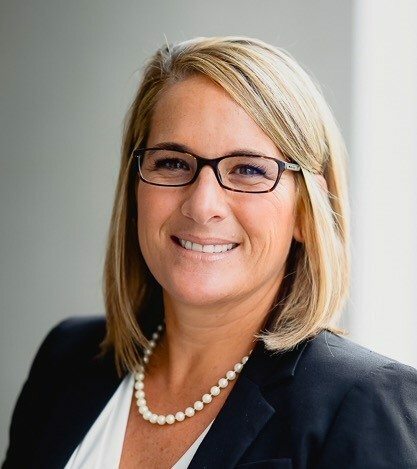 She is the US CEO of Sparks-based Franklin Apprenticeships, which was founded in 2016 and is the first US-based firm dedicated solely to delivering on the promise for expansion of apprenticeship programs. She recently sat down to answer questions about the new apprenticeship movement and Franklin Apprenticeships. Q: How would you describe Franklin Apprenticeships? A: Franklin Apprenticeships is a consulting and capacity building organization. Our mission is to be the answer to America’s 21st century workforce issues. We are focused on building an apprenticeship ecosystem to support the development and delivery of high-quality apprenticeships in industries such as IT, healthcare, advanced manufacturing, and professional services. The genesis came from my two partners, Tom Bewick and Dominic Gill, who are apprenticeship experts from the UK. They have been consulting with the US Department of Labor (DOL) for more than four years. We launched Franklin Apprenticeships in August 2016 when I joined as the US CEO to partner with Tom and Dom. Our goal is to leverage the lessons learned from the successful adoption of a surging apprenticeship revival in the UK – one that has been taking hold over the last ten years and has proven to be of significant economic value. The end goal is to improve productivity, and increase the opportunity for innovation. It is a win/win for both employers (who, by the way, are struggling to find the skills they need to remain competitive as we enter the cusp of the 4th Industrial Revolution), and employees. Q: Sounds like the United States has work to do in regards to enhancing apprenticeship programs. Where does Maryland benchmark against neighboring states? A: Maryland ranks well… compared to neighboring states. Using the percentage of the state’s labor force, Maryland is ranked eighth out of the top 10 states doing apprenticeships. Over a five-year period, Maryland averages 11,000 active apprenticeships and just over 3,000 apprenticeships per 1 million people in the workforce. So that is in the top 10 across the country. Where Maryland falls off is the number of completions. Maryland is not in the top 10 as it relates to people who actually complete the program. So there’s some work needed with regard to making sure people are successfully completing the programs. Despite this, Maryland has remained active — which is promising. This past legislative session, Maryland passed a state income tax credit that employers can use to offset the cost of the apprenticeship program, and also passed the Apprenticeship Act called the POWER (Providing Our Workers Education and Readiness) bill that provides seed money to help businesses create apprenticeship programs. Maryland is also in the process of developing youth apprenticeship pilot programs at the high school level. So I’d say Maryland is definitely becoming a leader in this area, and, coincidentally, it fits in with Governor Larry Hogan’s strategic vision. Q: Do you see location trending as a driving force to certain industry specific programs? A: We don’t see geography as a differentiator in program options at the moment. Most of the apprenticeships in Maryland are in the skilled trade’s realm: electricians, plumbers, welders, and carpenters; however new non-traditional areas such as IT and healthcare programs are in early stages of development. I think further adoption of these alternative programs hold significant economic value to our State – for all the reasons I mentioned, earlier. That said, there are geographical trends that make sense, when considering the early adoption statistics. For instance, as IT expansion takes place, we see more IT program opportunities on the West Coast. Here on the East Coast, we are seeing a huge demand for more healthcare focused programs. Q: What industries do you see the need for expanded apprenticeship opportunities? A: Healthcare is definitely one of the top industries for apprenticeships. According to the Bureau of Labor Statistics, the job of direct care worker is expected to realize the highest growth in employment – by 2022 reaching 1.7 million positions. As healthcare costs continue to rise, there is a corresponding need to reduce expenses, so work is being delegated to lower-paid workers. Yet, there is a growing elderly population who require assistance with daily care – but the quantity of caregivers and quality of care is concerning. An increasing number of patients today require care outside of the hospital — and those patients require a personal care aid or direct care worker. The huge growth in need demands that we think of new ways to attract and develop individuals with the critical skills necessary to support those roles. Another industry expansion area is the digital space – which is, essentially, anything IT related. About 80 percent of the middle-skilled jobs require some sort of digital or computer skills. That lends itself really well to apprenticeships. Going back to the UK model, Microsoft’s UK partnership network trains about 4,500 people in Microsoft certifications every year. Microsoft recently set a goal of training 10,000 apprentices per year in the UK by 2020. That translates directly to the US and what we’re seeing here with the growth of IT jobs. Q: Which scenario do you witness more often – community colleges see an industry need and say ‘we’re going to start an apprenticeship program?’ Or do companies approach the community colleges asking them to consider updated curriculum? A: We are seeing both community colleges and industry initiating apprenticeship programs. The colleges see this as a way to better connect the communities they serve, and the employers see this as an opportunity to build a skilled workforce with the specific training and skills they require to grow and innovate. A common pain point expressed by businesses seeking to fill roles relates to the lack of technical and soft skills students have when they graduate from community colleges and are seeing that apprenticeships are a better way to align curriculum with employers’ needs. The issue is more about: can the employers wait for the community colleges to catch up curriculum to meet their evolving needs, and expanding skill sets? It is a moving target. Many community colleges are working through a concerted effort to do just that, but it is not something that can happen in short order. Q: What’s the difference between an internship and an apprenticeship? A: An internship as a short-term opportunity where the neither the employer nor student really has skin in the game. It’s an opportunity on a short-term basis for an employer to get introduced to a potential employee, and it gives the student an opportunity to check out the company… but there is no employment commitment. Quite often, there is no formal training curriculum, either. That makes sense because it is not realistic for employers to scale more advanced training programs for short term, not yet committed interns. Internship programs hold value…. but they a short term process… as opposed to a long term “relationship building” process that takes time to develop, plan, and commit. The apprenticeship relationship offers more long- term value. The end goal is for a relationship of mutual commitment, and ongoing reward. An apprenticeship is a full-time job. It is a commitment between both the employer, and the apprentice employee. So, when you enter a company as an apprenticeship, you are hired as a full-time employee. The company develops a program that is specific to their needs and pays for the apprentice to get on the job and off the job training with a mentor and either online or in classroom educator. The apprentice may start at a lower wage, but as their skills increase over the course of the apprenticeship, wages increase at defined milestones. By the end of the apprenticeship, the apprentices’ salary is the same as a fully skilled worker. Q: Have you encountered industries or individual businesses where you have to twist their arms to really show them how apprenticeships could benefit them? A: Sometimes, employers hear the word “apprenticeship,” and they have some histrionic perceptions around what that is. Not to be trite, but…we are at a paradigm shift — a tipping point of making what is old, new again —¬ and the standard perceptions can be off-putting to those who are not aware of what has been happening to solve these economic and workforce issues in other countries through this rejuvenation. One way we have found to help US companies understand our programs is focus on their current workforce challenges. At times we don’t even use the word “apprenticeship” until the end of our discussion. What we’re hearing from employers is the need for people who have the ambition, the work ethic, the desire to grow, and the need to build a career. By developing an apprenticeship program that meets the employer’s desired outcomes, employers can build a skilled pipeline of workers that will be dedicated to their mission to grow and innovate. With the mutual buy-in developed through an apprenticeship relationship, there is a new level of trust and commitment. For the employer, apprenticeship programs provide not only an economic advantage, but they reduce recruiting fees, improve retention, increase knowledge transfer, and provide structured training that meets industry standards and their specific needs. Q: What direction do you see workforce development going in the future? A: There has been a lot of attention on apprenticeships in the last six months. Marc Benioff, the CEO of Salesforce encouraged President Trump to take a moonshot goal of creating 5 million apprenticeships in five years. The US has 505,000 apprenticeships today. President Trump then signed an executive order called “Expanding Apprenticeships in America,” in June, recognizing that apprenticeships will not only keep jobs in America, but will make sure that American workers are trained and hired to fill those jobs. We believe the direction of apprenticeship programs will lead to fulfilling the skill gaps we hear about all too often. They also serve to strengthen our economy at a geographical level, and to better expand and develop our communities by marrying skills and income earners – with income generating businesses. There are 6 million jobs that are unfilled today. The reason they are unfilled is because employers are saying they can’t find people with the right skills. One way to address that is to train people through an apprenticeship program and create a career path. Workforce development agencies need to continue to attract and retain talent in the communities they serve. Apprenticeship programs provide a clear path to that end. A: Given we just launched one year ago as of last month, we are still in the early stages with all of our corporate client, workforce development, and education partners. That said, our year one traction has been significant, and our outreach has yielded signature brands that span all of the areas we discussed as our primary target: Healthcare, IT, Advanced Manufacturing, etc. In a nutshell, at Franklin Apprenticeships, we are helping companies to build the infrastructure to support apprentice programs. We knit together all of the resources needed to develop and deliver these programs on a national basis. As we expand our reach and increase our offerings, it’s exciting to work alongside employers that embrace apprenticeships as a solution to their workforce issues. It definitely is a process, but these large companies who are early adopters will be those that help to build the market, and make modernizing American apprenticeships a movement worth embracing for all those that follow suit. Revitalizing the workforce is a movement taking place across multiple industries. Apprenticeships are one solution of many, as organizations are considering the steps to take to adapt to a changing workforce. SC&H Group and First National Bank are continuing the workforce development conversation specific to local manufacturers at an upcoming breakfast to discuss Manufacturing a Smarter Future: Revitalizing the Workforce. Join the discussion and move beyond the crossroads of questioning where your workforce development journey begins, and join our panelists for a morning of networking, valuable insights, and learn more about how you can begin manufacturing a smarter future by revitalizing your workforce.